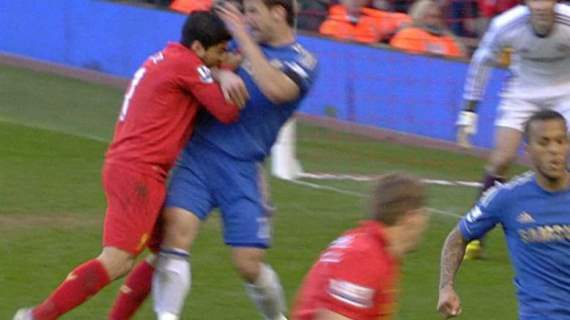 Liverpool striker Luis Suarez has received a 10-game ban from the English FA for biting Chelsea defender Branislav Ivanovic during a game on Sunday April 21st. "A three-person independent regulatory commission today upheld the FA's claim that a suspension of three matches was clearly insufficient and the player will serve a further seven first-team matches in addition to the standard three.The suspension begins with immediate effect." Suarez has until Friday April 26th to appeal the suspension.